Gargoyles, Angels, and Vampires. Deadly enemies. An Angel Prince looking for his fated mate to break his curse. A Vampire King with a heart of stone. Aria loses her humanity after being saved by a monster she believed only to exist in horror stories. But everything isn’t what it seems when her savior becomes a handsome angel prince who awakened her ancient and deadly powers. Powers that can destroy the world, or save it. Only true love can break the prince’s curse and stop him from turning into stone for all eternity. Despite the overwhelming chemistry between Aria and the prince, they only have thirty days to fall in love before their bond is put to the test. Peril strikes in the form of an addictive drug that can kill vampires and angels are to blame. Conflict is blooming and the peace treaty between the Angel Prince and the Vampire King is threatened. Aria is caught in a love triangle when the Vampire King discovers that the girl he had refused to take as his is now the prince’s new mate. Tormented by the rash decision that almost killed her, the king now believes that he’s saving Aria from the clutches of the manipulative prince. 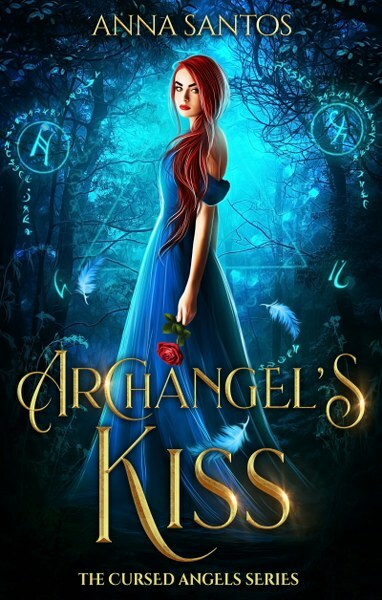 Finding out that supernatural creatures exist becomes less terrifying for Aria than discovering what she’s destined to become if she lets her Archangel’s abilities take over and change her. Aria is much more than the average, eighteen-year-old girl who wanted to find the cure for cancer. She’s now a deadly Archangel warrior and the future queen of the angels and gargoyles if only she can manage to break her lover’s curse and keep the Vampire King at bay. What would you give up for true love? Find out in Archangel’s Kiss. The Cursed Angels Series is a Young Adult Paranormal Angel and Vampire Romance. It’s a coming of age novel intended for younger audiences. If you loved the Iron Fey and the Twilight Saga, you’ll love this story and fall in love with the characters. *Fiction involving princesses, charming princes, dark kings, and fated mates. not been seen for a long time. Prince Cedric couldn’t be happier about her transformation. Yet, Aria feels the angel inside her wants to take over her personality and transform her into a ruthless warrior. To make things worse, the Vampire King regrets rejecting her and wants her back. Aria can't deny the attraction to her former mate, but she wants to stay true to Cedric and the love that had blossomed between them. Tensions rise between vampires and angels. Philippe and Cedric need to put their differences aside if they want to stop a dangerous drug, Clarity. The trouble doesn’t stop there as vicious creatures will do anything to start a war in the supernatural community and prevent Cedric from surviving the trial. War is coming and innocent lives are at stake. Aria fights her angel while Cedric declares war to the ones who have kidnapped his mate. In the middle of all this, Philippe fears for the life of the woman he loves and does everything to convince the Prince of the Angels that they need to join forces to survive. 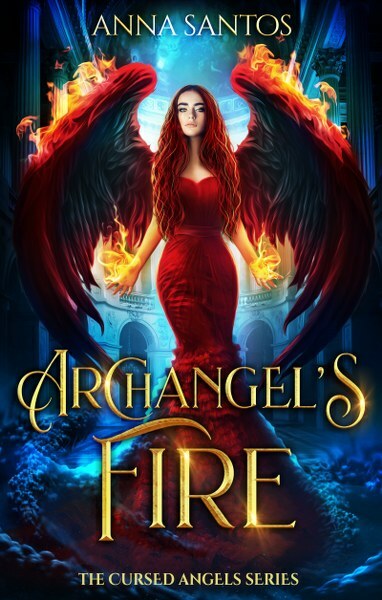 As the real enemy shows itself and threatens to destroy everything that the angels sacredly protect, Aria needs to find out more about the origin of her power and decide who her heart truly belongs to. 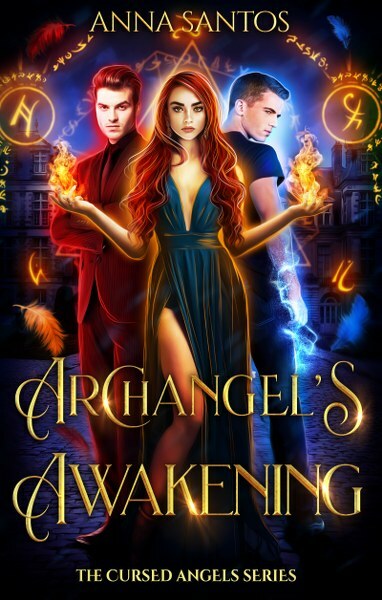 Find out in Archangel's Awakening, the last installment of Aria, Cedric, and Philippe’s story. A curse to break, a mate to save. Young Camille’s dreams are shattered when she’s rejected by the ruthless and abusive Alpha of the Shadow Pack. Her only chance at survival is to arrive in Paris and pray that what her brother told her about the angels is true. Chased and almost killed upon her arrival, she’s saved by the mythical creatures who protect the city. Plus, Fate gives her a new mate—the one she always dreamed about. But with a price. Jacob had been waiting a long time to be matched with a rejected soul so he could break his curse and become a full angel. Camille is everything he’d been looking for in a mate—she has a good heart and she’s extremely brave. Running against time, they have thirty days to fall in love or he will turn into stone, forever. Peril strikes when Alpha Simon wants to reclaim Camille. In a mad quest for power, he wages war on the other packs. Now more than being saved, Camille needs to be the savior and stop the cruel Alpha from hurting the people she loves. 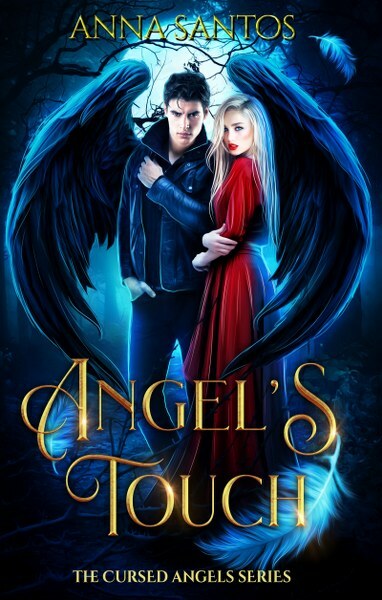 Find out how Camille and Jacob met in this sweet fantasy angel romance that can be read as a standalone. 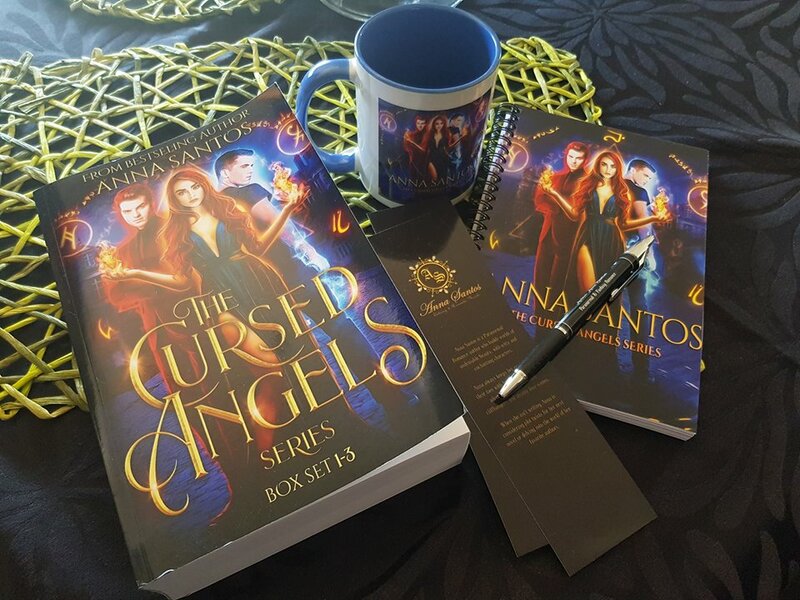 Anna Santos is a Bestselling Author in Paranormal Romance. She likes to write steamy and happily ever after romances with magical and complex characters. All her books feature clever, witty, and strong heroines and dominant males who either get what they want or get what they deserve. When she isn't writing, Anna is considering plot twists for her next novel or delving into the world of her favorite authors. She loves superheroes, and she’s a geek at heart. She grew up watching Star Wars and plotting a way to become a Ninja. She has a fascination for Chinese Kung Fu movies, and cherry blossom flowers. She also enjoys writing poetry, watching a good movie, and spending time with her husband and family.